Property prices are on the rise everywhere and the homeowner has very limited options when it comes to add housing space without raking up huge costs and investment enlarging their homes. 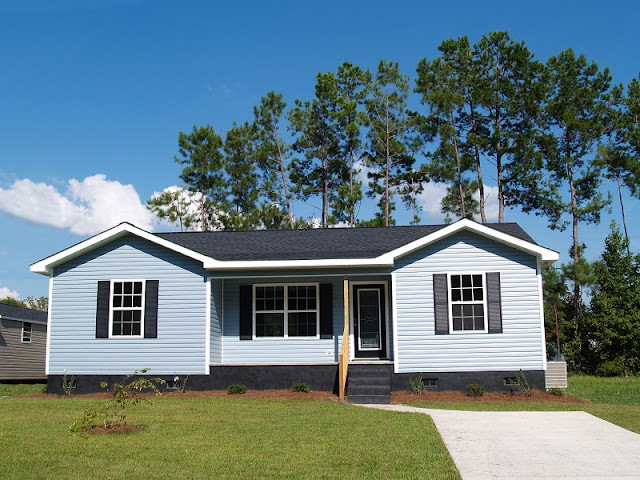 In such a scenario, granny flats are a simple yet great way to maximize space available while having a fully functional independent home often in their very own backyard. Granny flats is a very good investment decision from the resale point of view too as it allows the potential owner to make an added income through renting out the granny flat. So What Exactly Is A Granny Flat? Granny flats or one may call it as one bedroom granny flats are a popular option nowadays built as a semi-detached or completely detached compact secondary house featured with own bedroom, kitchen and bathroom. As the name suggests ‘granny flats’ came into being a place where space could be provided for older or disabled people of the family while the major part of the family continues to live in the larger original house. This allows the people living in the granny flats to live an independent life yet live close by to their families and call for any assistance when needed. Nowadays, these secondary houses are used as study or a place to pursue hobbies away from the main house. Many have taken it as an attractive investment opportunity to rent out the one bedroom granny flat as an attractive option to people or couples looking for affording housing spaces. Planning is always a key to any successful project. One bedroom granny flats need a bit of initial planning regarding its location and the size of the rooms. Planning must be accurate as any miscalculation after building can create another problem, just for example suppose the house you built and the bed you choose to put in the one bedroom granny flat does not fit inside or you ran the utility lines on the wrong wall of the house side. Proper measurements and careful consideration are very important. In fact, these days people hire professional companies or consultants to design and build the one bedroom granny flat based on their provided specific requirements. Are you building a completely off-grid detached house? Do you want the house to draw grid power and gas from your primary home? These are other key questions you will also need to think and settle before even staring your project. In addition, sewage and drainage connections will be other concern points. Plumbing connections in the bathroom, kitchen etc. in the new house needs to be as effective to keep the costs nominal. Remember to check the building regulations in your locality. Many regions or zone in your city have strict height to length ratios and have restrictive floor area sizes. Many one bedroom granny flats are available and quick to setup modular homes which have the basic in-built framework. It reduces the time of constructing the granny flats to just a few days. It’s best to do this homework to avoid any unfortunate surprises or face any hassles later. Effective and rational expense choices are keys to making the venture successful. The size of windows is too vital to maintain a healthy input of natural light in the house though double glazed windows are recommended because of its insulation properties which will save you a lot in heating bills. Colored carpets and walls are essential to enliven a place. Although, nowadays natural color schemes are very popular. These tips and ideas will help you invest in sensible and decorative one bedroom granny flats.